Mix one scoop of SELECT PROTEIN with 10-12 oz cold water or milk substitute. Amount of water can be adjusted to meet your taste preference. Consume enough protein to meet your daily protein requirement through a combination of high protein food and protein supplements. This product is only intended to be consumed by healthy individuals over the age of 18. Pregnant or nursing women should not use this product with first consulting their physician. Discontinue use if immediately consult your healthcare professional if you experience any adverse reaction to this product. Do not use if safety seal is broken or missing. Store in a cool, dry place. 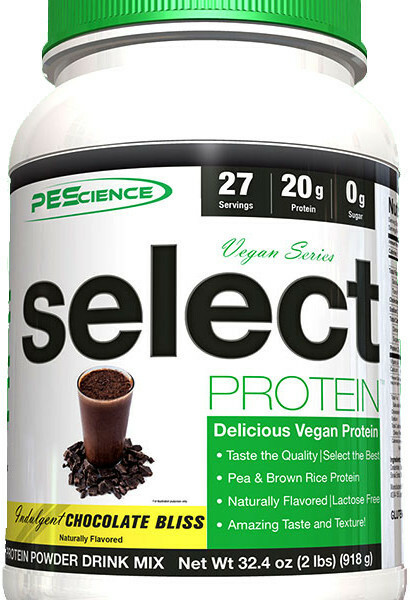 Pea Protein Concentrate, Brown Rice Protein Concentrate, Peanut Flour, Natural Flavor, Salt, Stevia Extract, Guar Gum. Pea Protein Concentrate, Brown Rice Protein Concentrate, Natural Flavor, Dried Strawberries (glucose syrup (wheat), Strawberries, fructose, Modified Potato Starch, Sodium Alginate), Beet Root Powder, Citric Acid, Guar Gum, Stevia Extract, Gum Acacia, Malic Acid. Pea Protein Concentrate, Brown Rice Protein Concentrate, Natural Flavor, Freeze Dried Strawberries, Beet Root Powder, Citric Acid, Guar Gum, Stevia Extract, Gum Acacia, Malic Acid. This product is only intended to be consumed by healthy individuals over the age of 18. Pregnant or nursing women should not use this product with first consulting their physician. Discontinue use if immediately consult your healthcare professional if you experience any adverse reaction to this product. Do not use if safety seal is broken or missing.